Hi guys! 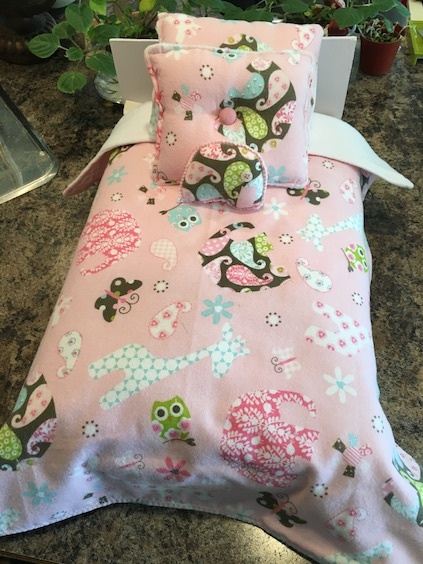 Today I built a bed for our new to us Hearts 4 Hearts doll, Leena Nahji. 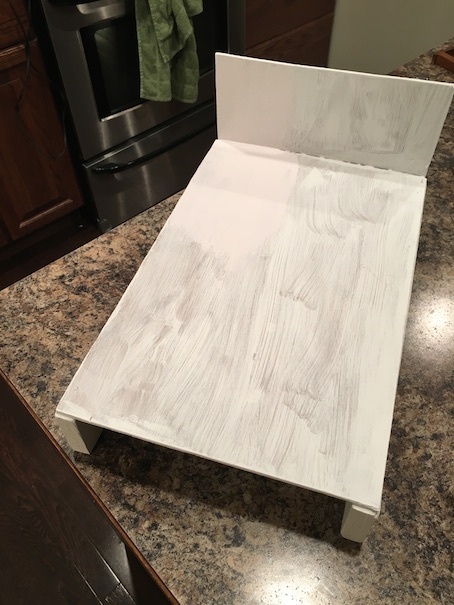 I have all kinds of 18 inch doll beds, so I decided to try my hand at making a doll bed for a smaller doll. I made this bed with a bunch of scrap wood. 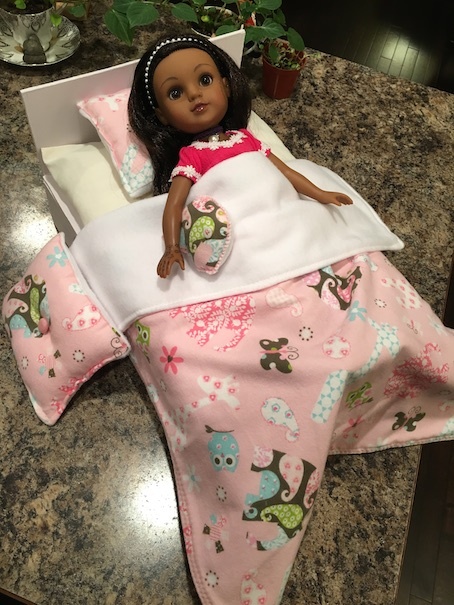 I didn’t really expect to make a bed for Leena, but then my mom found a doll mattress at a thrift store that fit her perfectly. I then used the mattress to work out the dimensions of the bed. Basically I just found some wood pieces that matched the mattress, and I made a few cuts to bring everything else to the correct size. I wasn’t looking for a major project. I just wanted something quick and easy. In other words, I just winged it. LOL! First, I used Gorilla wood glue and small finishing nails to attach a thin piece of plywood to some thicker wood slats. I have a lot of wood scraps from other major projects, so this bed ended up costing me $0. I like the design of this bed too, because it is quick and easy to assemble. Next, I nailed the headboard, (the leftover piece that I cut off of the thin plywood base) to the back of the bed. That’s how quick and easy it was! All that was left was priming and painting. And you’re done! This is actually a pretty sturdy little bed, and it took very little time to construct. The Little Miss helped to paint it. It’s not very visible in the picture, but it is a very light lavender colour. 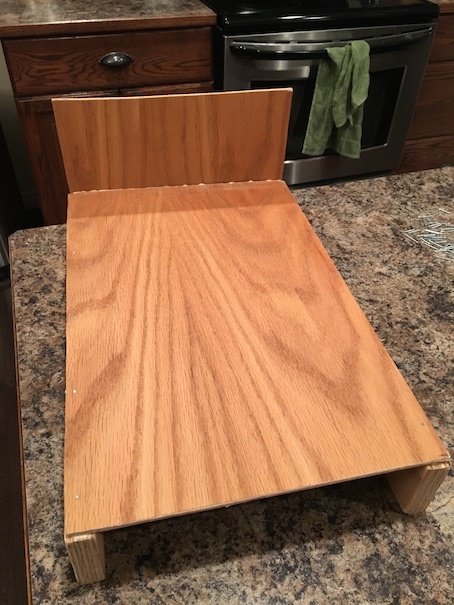 You could add a footboard in the same way that the headboard was attached. 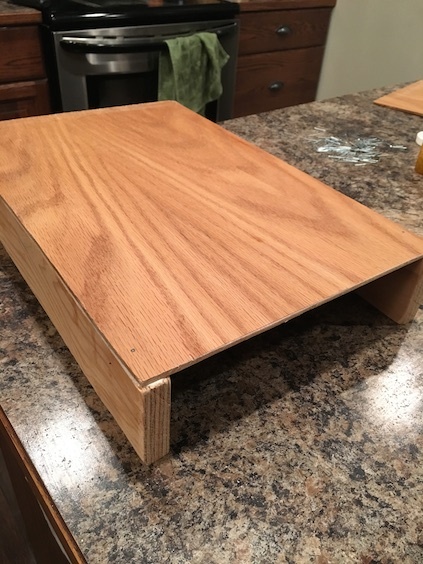 Just glue and nail it to the wood support slats. I didn’t want a footboard for this bed though. 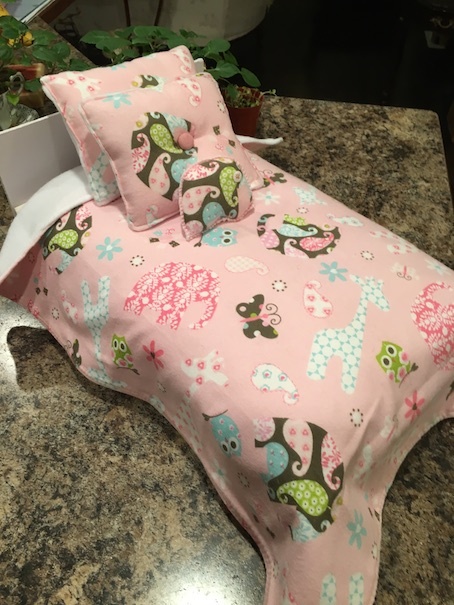 The only thing left to do was to make some bedding. 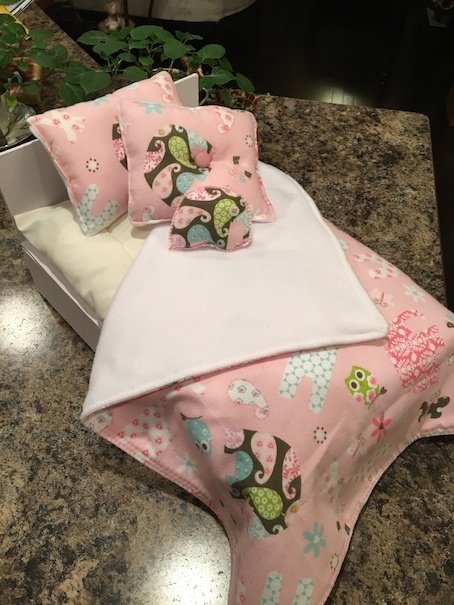 I had some leftover fleece, and some fat quarters of flannel fabric, so I whipped up some cute blankets and pillows. 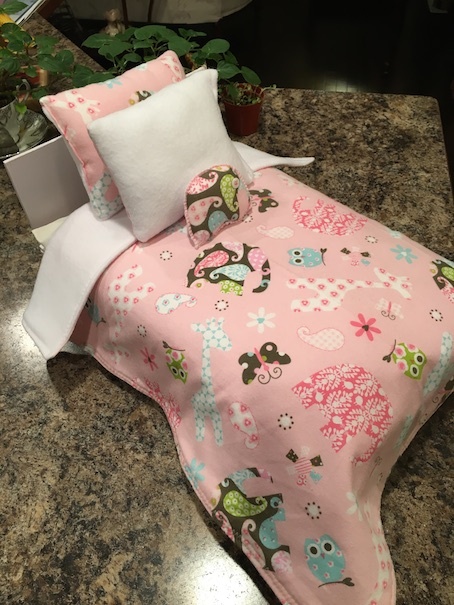 To make a doll blanket: Pin two rectangular pieces of your choice of fabrics together (I enjoy flannel+fleece or cotton+minky combinations), right sides together, and sew 1/2″ seam all the way around the edges leaving a 2″ gap to turn it inside out. Turn it right side out. 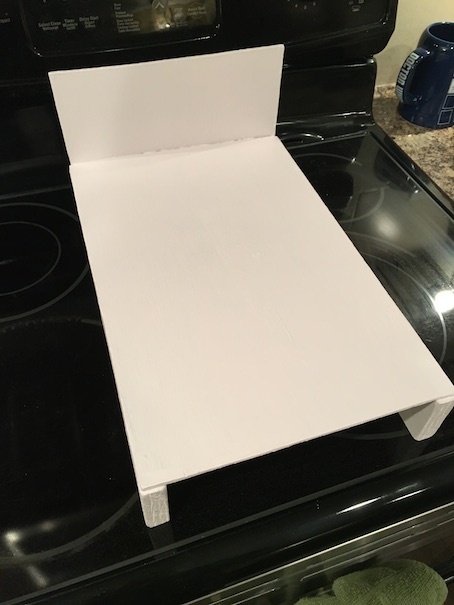 Press the edges. Next, zig zag stitch all the way around the edge of your blanket closing up the gap that you left to turn it. And you’re done! 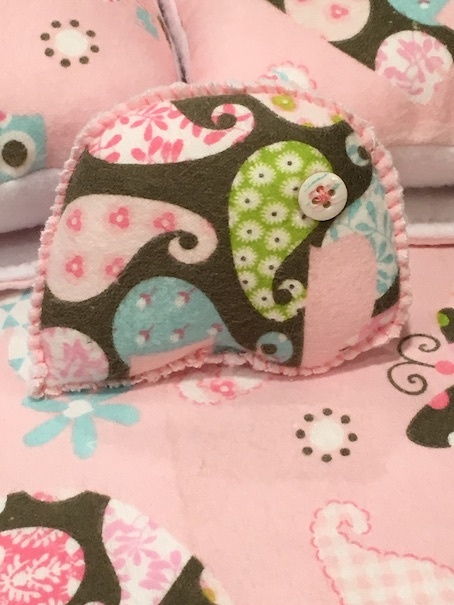 Here is a close up of the elephant pillow. All in all, I am very happy with this little bed. I’m still considering making a sheet casing for the mattress as it is a tad bare bones under the coverlet. Here is another view. The throw pillow is reversible if you like the plain fleece look. 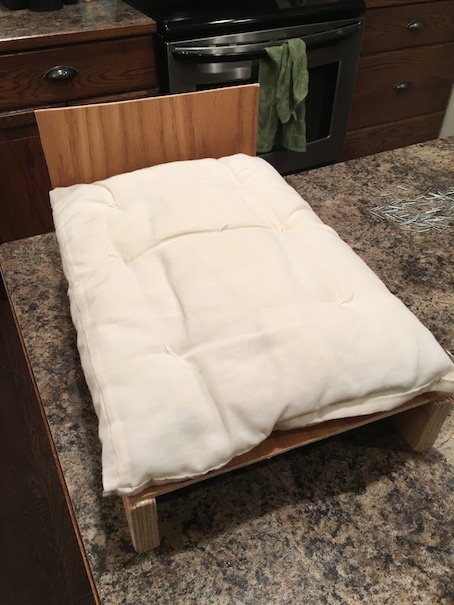 I think it is a good, simple bed that is perfect for beginners to try to make. Have you ever built anything for your dolls? very cool bed with beautiful bedding! This size doll is quite fun, we have (had) a Cherie, she was the perfect little sister to the bigger AG dolls. I really like the fabric you used! Leena looks comfy.